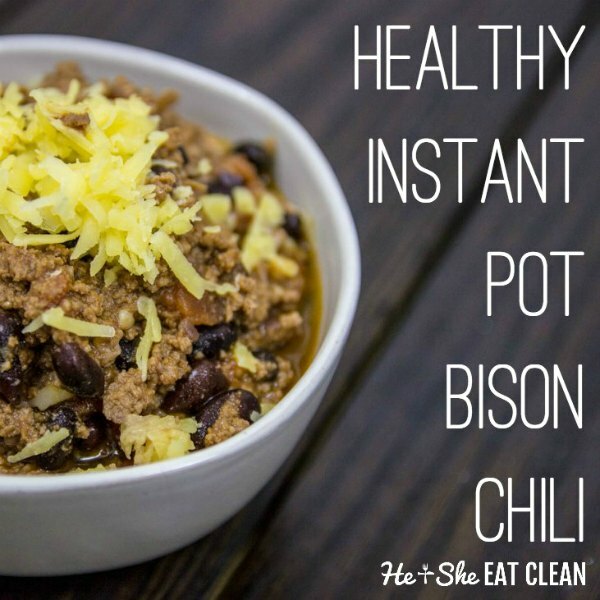 This healthy Instant Pot Bison Chili recipe is PERFECT for food prep! It is made quickly and with minimal clean up in the Instant Pot. We FINALLY used the Instant Pot for something other than eggs and quinoa! Even if you don’t have an Instant Pot, keep reading…you can make this in a crockpot! We make this bison chili almost every week in the crockpot. A few weeks ago we decided to try it out in the Instant Pot and it was a keeper! I LOVE the fact that I can do everything right in the Instant Pot, which means I only have to clean ONE item! I can saute the onions and garlic add all of the ingredients and then just press a button. It took us less than 5 minutes to get everything started and then the Instant Pot did the rest of the work. We even made a quick time-lapse how-to video for Instagram! 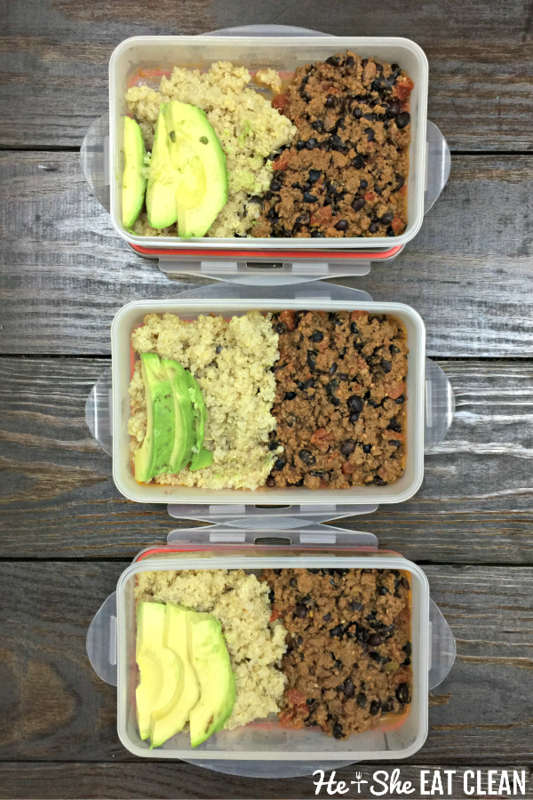 This recipe is perfect for food prep! We portion ours out and when it’s time to eat we mix in quinoa and warm it up! Saute the onion and garlic in the Instant Pot (press the saute button and add olive oil, onion, and garlic). Once onions are translucent add your meat (ground chicken, beef, or bison) to the pot and cook until brown. Once cooked, drain if desired. Add the remaining ingredients, mix well, cover and lock the lid. Press the “Keep Warm/Cancel” button on the Instant Pot, then press the “Chili/Stew” button to begin the pressure cooking. It will automatically be set for 30 minutes. Make sure the steam valve is closed. Top with cheese, cilantro, or green onions – if desired. If using a crockpot, saute the onion and garlic and brown the meat in a separate pan. Add the onion, garlic, and meat to the crockpot. Add all remaining ingredients and cook on low for 4 hours. I also would like to know the answer to this question?? Are you using a Crock Pot or Instant Pot? Either way, the cooking time should be the same as listed in the recipe even if you use more meat.